CRAZY DISCOUNT! Was: $549.95 Now: $389.98! 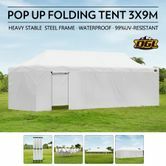 Make your party or other outdoor events unaffected by any weather conditions with the OGL Pop up Marquee 3 x 9M Waterproof Folding Canopy Party Wedding Camping Gazebo Tent with 3 Adjustable Heights – White. Featuring a sturdy and foldable steel frame, this pop up tent can be set up in 10 minutes steadily. 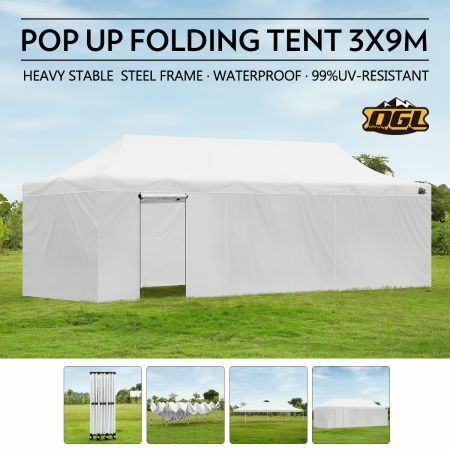 Equipped with versatile 100% waterproof and 99.9% UV resistant cover, this canopy tent is able to ensure your guests, customers or wares shield from the sun and rain. A zip-up door of the gazebo tent provides a level of security and privacy. The marquee tent can also be adjusted at 3 different heights reaching 3.3 metres (including the roof) maximum. 8 Bonus sandbags (sand not included) provides extra stability, making the camping tents capable of withstanding certain weather conditions. lovely dealing with and getting the item as described and on time. 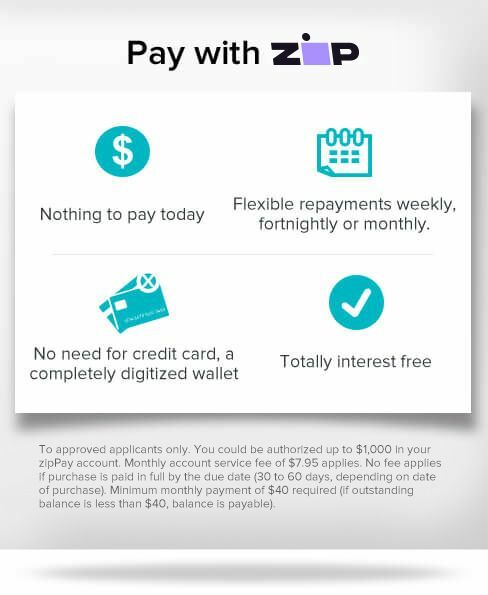 very smooth transaction and fast delivery. Great marquee. Instructions could do with a rework.